Salthill Hotel exudes elegance and luxury, and enjoys prime location on Salthill Promenade, with stunning aspects over Galway bay and the Hills of Clare, just minutes from the vibrancy of Galway city centre. This is one of Galway’s premier wedding venues, priding itself in providing a unique, memorable and fantastic wedding day for you and your guests. The 4 star hotel is renowned for it’s superior quality of food and service, assuring you of ‘your perfect day’. The Rockbarton Banqueting Suite can cater for up to 450 guests. This elegant suite features adjustable mood lighting, crystal chandeliers, bespoke centre pieces, a variety of chair covers and sashes, and an illuminated backdrop. The smaller Aran Suite is perfect for intimate wedding breakfasts of 70 to 150 guests and for civil ceremonies of 50 to 200 guests. 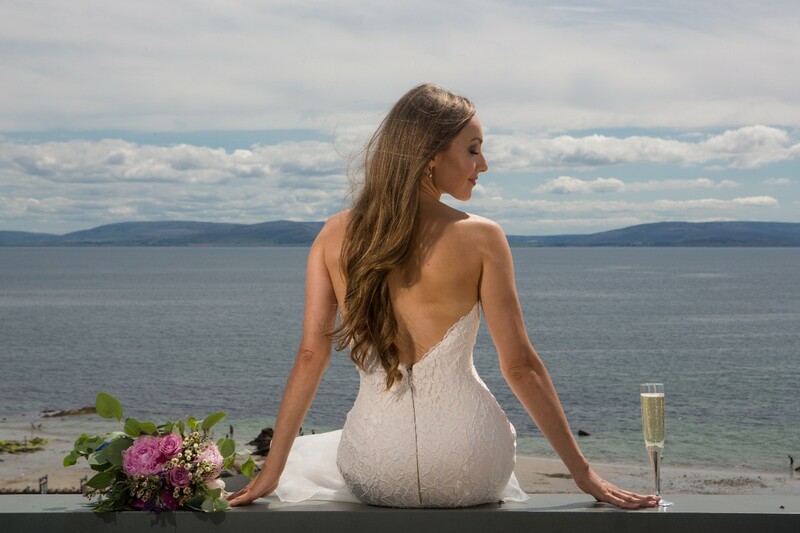 The scenic location of the Salthill Hotel provides the ultimate photographic backdrop for your wedding album. Inspirational settings include Salthill Promenade, Beaches and Blackrock Pier. Millennium Park is located opposite the hotel. The hotel also has many vantage points throughout the hotel offering panoramic ocean views. As a preferred Galway wedding venue, the Salthill Hotel provides the idyllic romantic backdrop to your special day. Facilities include the elegant and welcoming ambience of the modern wedding reception area, the versatility and luxury of its banqueting suites, the spaciousness and comfort of its guest accommodation and the superior quality of food and variety of menu options. Please note the Salthill Hotel have a ‘one wedding per day’ policy, ensuring exclusive wedding venue use on your day. The Hotel is licensed for civil ceremonies. 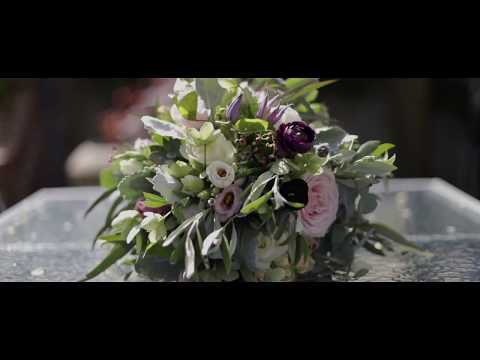 The Hotel’s professional events team will assist you with every aspect of your wedding day, making sure you have an easy journey throughout the planning stages right up to your wedding day, and beyond. Salthill Hotel is a Seaside Venue in Salthill, Galway city servicing weddings throughout the local area including all of County Galway. Salthill Hotel is a wonderful Hotel Wedding Venue that has been part of the Hotel Wedding Venues industry since 1965 specialising in memorable weddings. .
We got married in this fantastic hotel on the 28th of December 2018. Hazel our wedding coordinator was excellent to deal with. She was extremely helpful and went out of her way to make our day very special. The room was perfect and the service at dinner was exceptional. The meal delicious and the attentive staff made our guests feel welcome and well looked after. 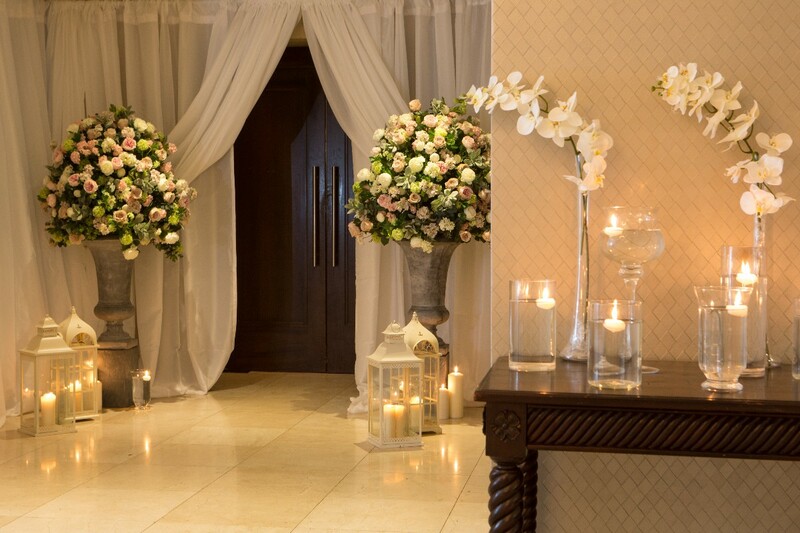 We would highly recommend this hotel to any couples choosing a location for their big day. Thank you to Hazel and all the staff at the hotel. A fantastic wedding venue. 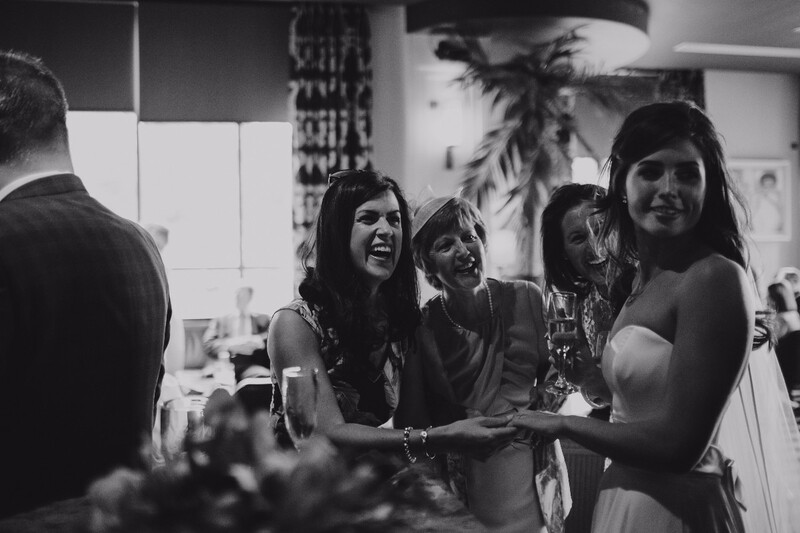 There are no words to describe our magical day on the 2nd of November in the Salthill Hotel. From the moment we booked it they went above and beyond. It was amazing. We had our civil ceremony in the Aran suite followed by pre drinks reception and dinner in the Rockbarton Suite. Everything was amazing the food and the service were exceptional. Special thanks to Hazel, Patrick and Pauline who took such good care of us on the day. We are so glad we had our wedding here. So delighted we chose to have our Wedding reception here. The food was delicious. The staff were so lovely and helpful. Couldn't have chosen a better hotel. Beautiful hotel and it's right beside beach and beautiful memorial garden so we got beautiful photos. The staff working on day of Wedding made the whole experience for us. Once we got to the hotel we were able to relax and enjoy as they had everything taken care of. we had our wedding in the Salthill Hotel last month. The service was second to none. The food was cooked to perfection and they went over and beyond to meet all our needs. We just had our gorgeous wedding at the Salthill Hotel. Things couldn't have gone better on the day, the food and atmosphere were everything we wished for and more. Patrick, Pauline & Hazel ensured everything ran seamlessly.. We really did have the best day???????????????? The Salthill Hotel were fantastic to work with from the very beginning. We were planning our wedding from the UK which wasn't always easy but the staff always made the experience as smooth as possible. They were always very responsive to our emails and flexible to met with us when we were home for weekends. In the lead up to the wedding Hazel, our wedding planner was just fantastic. She took any chore of my to do list that herself or the team could do, she designed our table plan and menus, put our macaroon cake together, decorated the venue and function room with our wedding decor to such a high standards, she was just amazing. On the day Patrick, Pauline and the team took great care of us, giving us everything we had asked for and more. The food and wine was delicious and plentiful. We truly had an amazing experience and look forward to returning for our anniversary! We celebrated our wedding reception in the Salthill Hotel on the 17th of August, 2018 and cannot thank them enough. From our initial meeting to the service on the day, they really went over and beyond. Would highly recommend. From beginning to end the service provided by staff and wedding team, in particular Hazel, Patrick and Darius was fantastic. With living overseas, the team were brilliant with communicating and making the process easy. The function room, the food, the decor and facilities were impeccable - Highly recommend Salthill Hotel to anyone. Excellent day. Food was fantastic, people still talking about how good food was. Run without a hitch. Staff were excellent and looked after everyone. I just want to thank Steph, Rachel, Pauline and the entire team at Salthill hotel for helping us make our wedding day special. They really are as a hotel excellent at what they do and everyone from Steph,Rachel and Pauline to the servers, Jean and the breakfast servers, Ciara and the receptionists,bar staff, security,porters etc They were all amazing and their customer service was second to none. Thank you all for making our weekend so memorable and looking forward to coming back to see you all in future. I cannot say enough about The Salthill Hotel for our wedding. We originally stayed as guests and by the end of the weekend knew this was where we would be getting married. The feeling you get when you walk in is something I rate as a Manhattan Hotel except on the beach! Darius picked up as our wedding coordinator less then a year before our wedding and planning abroad I was a bag of nerves. Well Darius called me and after talking and running over all his ideas and how everything was going to work I was blown away. Everything was organized and, being abroad I would be sending emails and Darius remained on top of everything above and beyond (even all my Pinterest ideas which he pulled off to a T!) Our wedding was now three weeks ago and everyone is still talking about how amazing it was from the decor to the food to the staff. We cannot thank you guys (especially Darius) for all that you did to help us make our dream wedding exactly what we hoped! Dear Gerard and Chloe, congratulations once again from all the team at Salthill Hotel, we are all delighted that you had your wonderful day exactly as you wished for it to be. All our best wishes for your future together and we hope we will see you back at Salthill Hotel in the coming years. Dear Lisa and Keith, thank you for your lovely feedback about your special day with us. Congratulations once more to the new Mr & Mrs Morrissey, and wishing you both a lifetime of happiness together from all the team at Salthill Hotel. Hi Aisling, thank you for your lovely comments. From all the team at Salthill Hotel we wish you both a lifetime of happiness together! They could not have done more for us, everyone who we met from reception to cleaning staff were just fab. The food on the day was one of the best we have ever had at a wedding and all our guests said the same. Special thanks to Darius for looking after us on the lead up, to Pauline on the day and Sarah in reservations. Darius, Kerry,Pauline, Patrick and the entire team at Salthill Hotel were extremely helpful from start to finish. The quality of food and service on the day of our wedding was exceptional. We would highly recommend the Salthill Hotel for a wedding venue. We got married in the Salthill hotel almost a month ago on the 16th of March 2018. I can honestly say the hotel was an absolutely fantastic venue. Every little detail was flawless from the reception to the food, the day went without a hitch. Darius & Pauline both went out of their way in the run up to the wedding & on the day to make sure everything went to plan. They were so accommodating of any extra little details we added in. I would highly recommend the Salthill hotel as a wedding venue, the standard and quality of service is top notch and they helped make it a day we’ll never forget. Darius is a superstar. He was both very efficient and very enjoyable to work with. Wow....Thats all my Husband and I can say about the staff,service and everything about the salthill hotel. We had our wedding reception on the 2nd february 2018 and Darius, Pauline and all the staff of the salthill hotel made it an incredible experience for us. Nothing was too much. We had the best fun and the food was unforgetable. We couldn't recommend the salthill hotel any higher for anyone looking for a wedding reception venue. We wouldn't have been happier with the Salthill hotel - thank you again for everything, our wedding day was fantastic. The salthill hotel helped make our very special day flawless, the level of service and quality of the entire day was perfect. I highly recommend the salthill hotel if you want your special day to be effortless. Special mention to Darius and Pauline who managed our day to perfection. They are in my opinion the best wedding venue in galway city. All my guests had a great time. We had our wedding reception at the salthill Nov 3rd 2017. Valerie and the team could not do enough for us. They were on point on everything, organised and took the stress of the day away from me. I never once worried about how my guest were treated. They could not have done enough for them. Every guest commented about how great the food and service which was provided. Thank you to valerie and the team i would highly recommend this hotel to any couple looking for a venue. Hi Valerie Just a quick message to say thank you for all your help in organising our wedding. We had an excellent day on Saturday which would not have been possible without the help and advice given to us by yourself, Pauline and the team at the hotel. The food on the night was lovely and numerous guests commented on the quality of it, and the service received throughout the hotel. From the second we arrived at the hotel we were looked after and the day flowed seamlessly thanks to the efforts made by the staff - Dara and I didn't have to worry about anything, all pressure was taken off. The cheese and port stand went down a treat, a number of my friends are looking to steal the idea! Thanks again for everything. My husband and I could not recommend this hotel highly enough. They were absolutely fantastic on every level- we wouldn't want them to change a thing. We had our wedding here in September and could not fault a thing! We were absolutely delighted with how the day went and the service given by Valerie and Pauline on the day and in the months leading up to the day was second to none. All our guests were raving about the hotel - the function room, the food, the staff were all impeccable. We had a day to remember and we cannot thank the staff in the Salthill hotel enough. Valerie was our wedding coordinator and we are delighted she was. From the first day we met her she was so helpful and generous with her time! Valerie gave us so many little helpful pointers that helped so much in our planning process! The staff were very attentive on the big day and everyone I spoke to enjoyed their meals! There was a great atmosphere and everyone left the hotel on a high! What a day, what a venue. Exceptional staff from the day we booked to our wedding day. Highly recommend the hotel. Wow Wedding Venue!!! Wedding Coordinator Valerie was excellent helping us plan our day. And |nothing was a problem, everything was sorted promptly.. Pauline was wonderful on the day.All the staff are superb. All Our guests were happy and that was very important for us.????????????????????????????????????????????????????????????????????. Food was delicious !!!! Leisure facilities are great. Overall would highly recommend Salthill hotel to any newly engaged couples. Top class wedding Venue!!!!! Hi Edel & Jerry, Thank you for the fabulous review. We are so thrilled to hear you speak so highly of the team. It was our pleasure to make your day spectacular and hopefully you both felt it was that and so much more :) We look forward to seeing you both here in Salthill Hotel to catch up in the near future! All the best, Valerie & the Team. We had our wedding in the Salthill Hotel and it was just brilliant. From when we first went to see it Patrick, Pauline and Valerie were so helpful to us. All our guests had a great time. Salthill Hotel are the only hotel in Galway city to even consider for your wedding! 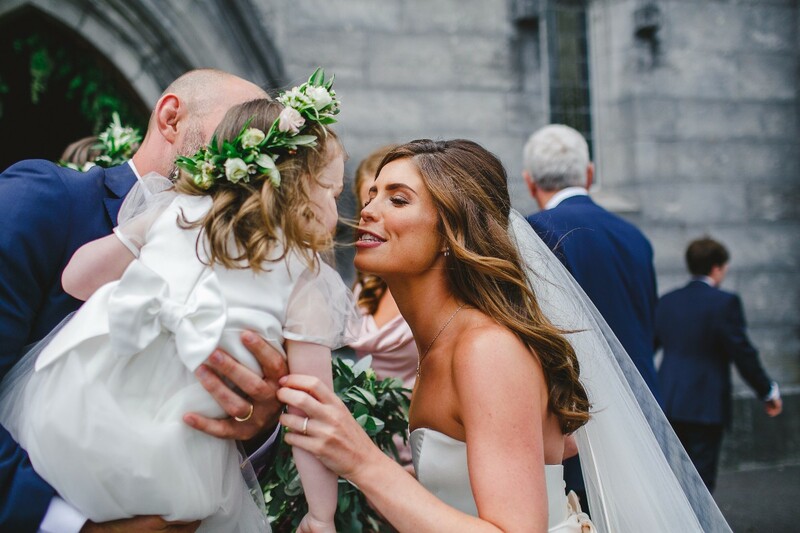 It was the happiest, most beautiful and unbelievable day of our lives and that is largely down to the outstanding service throughout the hotel all day. From start to finish it went without a hitch- the food served all weekend during our 7 course tasting menu, the service at dinner, pre-drinks reception, the bar that day and night, the smiles on everyones faces spoke volumes. They even helped us pull off our very own in house nightclub for after our band... absolutely everything was just first class! John and I were truly blown away by the level of effort and care we received on the day and we both felt like royalty. I've seen so many weddings through the doors over the years at the hotel and feared ours would be no different, how wrong I was. It was just absolutely class, the hotel overall and the ballroom and draping looked smashing on the day and brought a tear to my eye. I won't ever forget all the support we received, each and every one of the hotel staff made our dream day a reality and truly showed that Salthill Hotel can do a 5 star wedding and more!! I cannot recommend the hotel enough. First class. We had our wedding in May 2017 and I literally cannot fault the Salthill Hotel. We stayed in the hotel for 4 nights and we received the most accommodating and polite service we have ever received. The wedding planner Kerry is an absolute delight to deal with. We organised the wedding from abroad and Kerry was so considerate and fundamental to our perfect day. 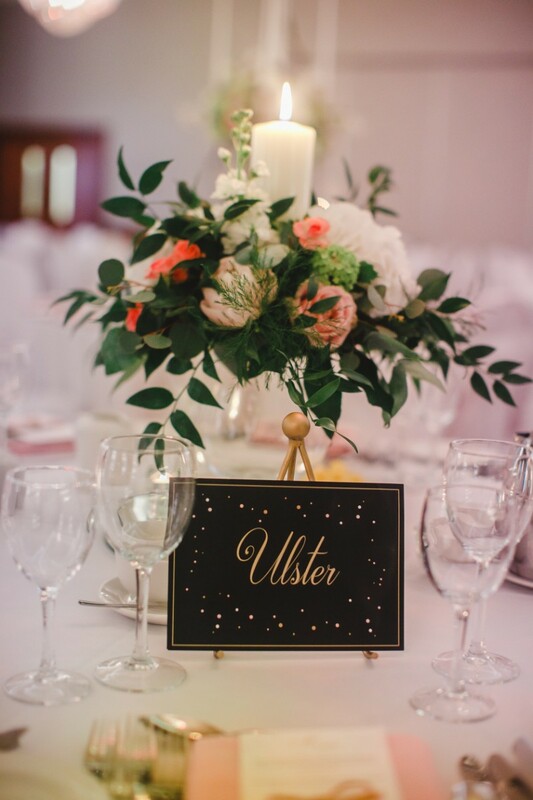 From surprise fruit bowls, chocolates, champagne to every last organisational detail - the Salthill Hotel made our wedding day perfect. Cannot praise the service and organisation of the day by them enough. I can't wait to return to Galway and stay at the Salthill Hotel to reminis our special day. Thank you Kerry and the staff at the Salthill Hotel! We will never forget your efforts and exceptional service! Best place in galway to have a wedding. I honestly could not have asked for more from pauline and her team. Food, service, everything was perfect! From start to finish the wedding team were amazing. I am so happy we had our wedding here and wouldn't change a thing. Dear Cathy & John Thank you so much for your lovely comments and I shall pass on you comments to Pauline and her team, I sure they will be delighted as they go's over and beyond for all couples to ensure they have the best day ever. 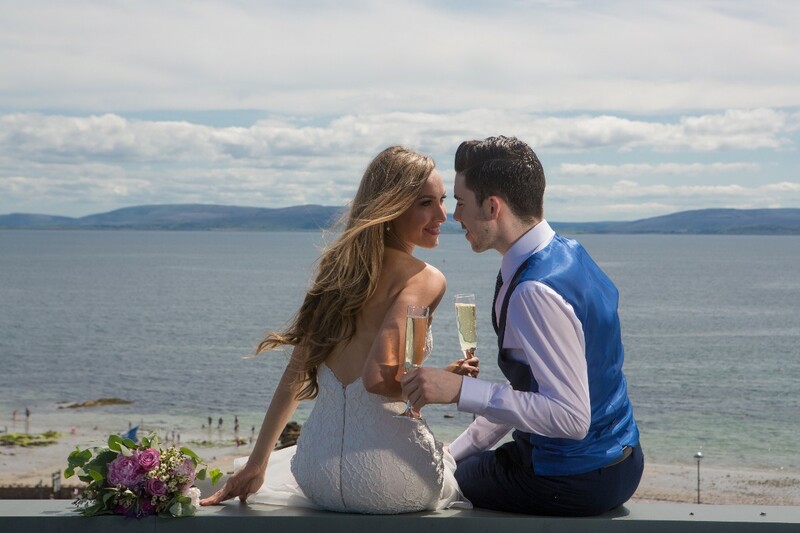 So thrilled we chose Salthill Hotel as our venue for our wedding. Valerie & Pauline were a dream to work with from the first day we went in! I cannot recommend the team highly enough as they responded so promptly to our million little queries throughout the year. The service was so personable & it really made our lives so much easier. The food, function room, reception displays, rooms, customer service to check in etc was fantastic & all our guests enjoyed every minute! Highy highly recommend the Salthill hotel!! Dear Lisa Thank you so much for your lovely comments and I shall pass them on to Pauline and her team, It was our pleasure to have you celebrate your special day with us here. People told me how good the Salthill Hotel reputation was and STILL I was blown away on our wedding day. Our wedding guests commented so much on the level of service from every single member of staff, the food, the drink, the décor. For me as a bride I really got such help from the team at the Salthill hotel and they think of everything.If you want to spend absolutely none of your time worrying about the reception portion of your wedding and ALL of your time actually enjoying it then choose the Salthill Hotel. It's the best decision you will make about your wedding. The Salthill hotel is the best venue in galway to have your wedding!! Its Pauline and kerry were extremely helpful during the prep of our wedding, no query was any problem!! I would highly recommend them! !